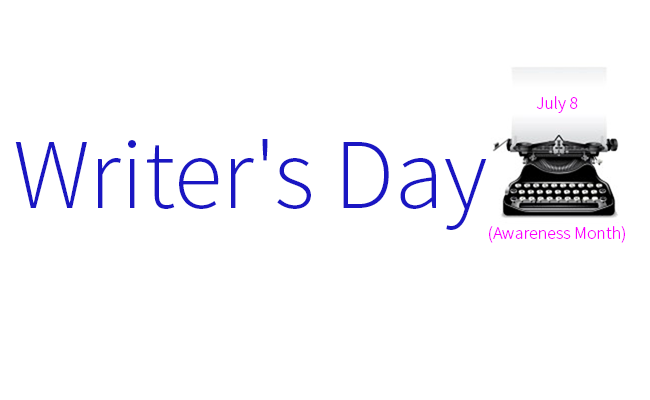 Writer’s Day, celebrated this past Tuesday, July 8th, honored the authors of the world and their beloved craft. Across the nation and all over Google, writing competitions commenced in celebration. In a world inundated with television and movies, (no offense meant, because who among us doesn’t truly relish a good Netflix binge?) the original escape cannot be forgotten. Without sounding utterly melodramatic, a good book or essay or poem can change your life forever. Writing – and reading – allows you to access the whole world. In the flip of a page and turn of a word, you can be in Patagonia, crying at the loss of your new best friend from Chapter 2 or impassioned by the word’s of leaders passed. Do not forget, dear readers of mine, that your writing could change someone’s life. Whatever your craft of choice might be – poetry, fiction, essays or anything in between – allow it to become your outlet. Writing can be the greatest catharsis, and self-expression is important. Actually, self-expression is crucial. Allow yourself to express how you feel, and elaborate on what you think. Where would any of us be without our Lisa Frank diaries from third grade, immortalizing our most embarrassing moments during gym class and secret loves for our BFF’s older brother. Get a journal, use it and make your elementary-school self proud. To be honest, every day should be Writer’s Day. Make it that way by honing your skills, accessing your emotions and heading out on a journey. Enjoy that movie – but don’t forget how much better the book was.